I did this fun little survey last December, and since everybody seemed to enjoy it, I decided to do it once again! 1. 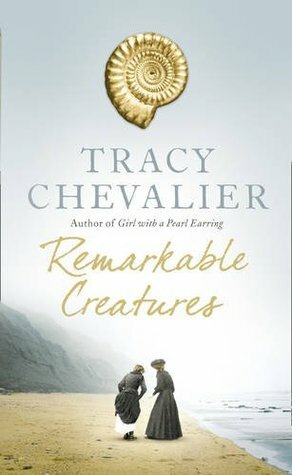 The book I’m currently reading: Remarkable Creatures by Tracy Chevalier - This isn't going very well. I've read three other books by Chevalier that I've LOVED, but this one just isn't grabbing me. 2. 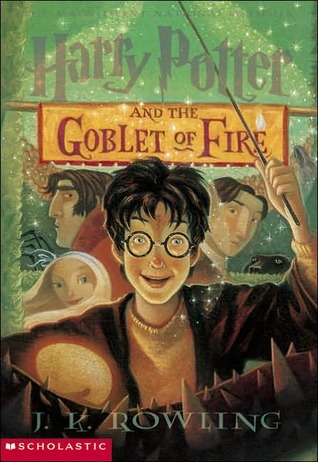 The last book I finished: Harry Potter and the Goblet of Fire by JK Rowling - To me, summer means three things: miserably hot weather, mosquitoes, and rereading the Harry Potter series. I've shaken things up this time and am actually reading the series backwards. It's really interesting this way! 3. 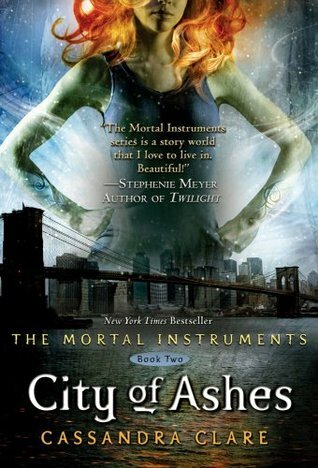 The next book I want to read: City of Ashes by Cassandra Clare - I really adore this series/author and can't wait to dive back in! Unfortunately, I'm number 84 on the library wait list for this book. 4. The last book I bought: Paris to the Moon by Adam Gopnik - Paris, a travelogue, and humor? Yes please! 5. 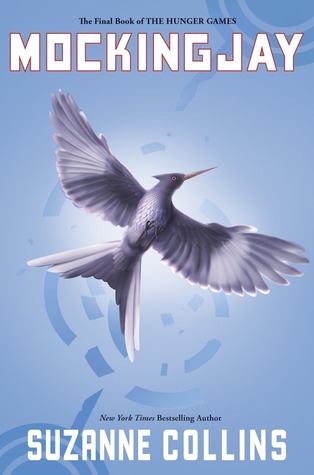 The last book I was given: Mockingjay by Suzanne Collins - I started and finished this book in the span of a flight Miami to Nicaragua. Even though Mockingjay was quite depressing, it made the cramped, uncomfortable, and bumpy two hour trip much more enjoyable. As always, feel free to do your own, either leaving a link or your entire list in a comment! Love that you reread Harry Potter every summer! And what fun to read it backwards ... I never would have thought to do that! I know I'm due for a reread soon ... I adore that series! And Mockingjay was a bit of a letdown compared to the other two but would definitely make a flight go by fast! On the other hand, I completely COULDN'T get into the Cassanda Clare books! http://readitwrite.blogspot.ca/2012/08/a-quick-bookish-survey.html#more That's a great idea to read HP backwards! Never thought of that! You will love Paris to the Moon! It was beautifully written and highly engaging- love Adam Gropnik. I'm also rereading HP, but this time on the audio. I love Jim Dale's narration and rereading HP is one of life's highest pleasures :). Great Quiz. Really easy and fun to fill in. Looking forward to reading everyone's responses. That's the Chevalier that I have also not read. Your No 4 sounds good! I just read City of Ashes and thought it was really good! (Unfortunately, much of the series has been spoiled for me, so it's not as mysterious/suspenseful as it would have been otherwise.) Paris to the Moon sounds really good! How fun to read the series backwards! Love this quick survey. Posted my answers in blog link below. Keep trying with "Remarkable Creatures." It's worth it once it is finished, but I agree, I had a tough time working my way through! I often re-read HP as well-- just finished actually. I'll have to read them backwards next time. Number 84 on the waiting list! The book is so good, I don't know how you're doing it. I also love that you re-read Harry Potter every summer. It's such a great series. Hopefully the other 83 readers devour the book quickly and the return it. The book I'm currently reading - MAKING PIECE. It's about pie. 'Nuff said. The last book I finished - THE RAVEN BOYS. Maggie Stiefvater has my heart. The next book I want to read - SCARLET because I'm dying to find out what happens after Cinder! I should really give HP another try, I never made it through the last 2 books because I watched the movies and lost interest once I knew the ending. I did this! Sorry it took me so long to post it and to comment here.